Leona Glidden Running, 97, professor emerita of biblical languages at Andrews University, died on Jan. 22, 2014, in Berrien Springs, Mich., after nearly six decades of service to the Seventh-day Adventist Theological Seminary and Andrews University. Born on Aug. 24, 1916, in Flint, Mich., to Charles Comstock Glidden and Leona Mary Bertha Boat Glidden, Leona showed an early attraction to languages. Her mother, a teacher, began coaching her in reading skills when she was 3 or 4, and she entered Grade 4 at age 8. She graduated from Adelphian Academy in Holly, Mich.
Running graduated from Andrews University (then Emmanuel Missionary College) as valedictorian in 1937 with a Bachelor of Arts with a concentration in modern languages. She went on to earn an M.A. in Greek and Hebrew from the Adventist Theological Seminary in 1955, and a Ph.D. in Semitic languages from Johns Hopkins University in 1964. During her early professional years, Running served the Seventh-day Adventist Church in many capacities. From 1944–1948 she worked in the Foreign Language Division of the radio program Voice of Prophecy, translating programs and typing scripts in German, Spanish and Portuguese. In 1950 she moved to Washington, D.C., to become the copy editor for Ministry magazine. During these early years, Running often earned far less than her male counterparts for doing the same amount of work. Nevertheless, she continued to do God’s work, traveling to many European countries, promoting the Seventh-day Adventist Church and, at the same time, expanding her cultural experience. Running began working for the Seventh-day Adventist Theological Seminary in 1955, teaching Greek and Hebrew. At the time, the president of the seminary was skeptical about a woman’s ability to teach male students, and male students’ willingness to be taught by a woman. She began teaching on a trial basis, but in 1956 she was granted regular status and, shortly after, full tenure. When the Seminary was moved from Takoma Park, Md. to Berrien Springs, Mich. in 1960, Running came with it, continuing on as a valuable and dedicated professor of biblical languages. 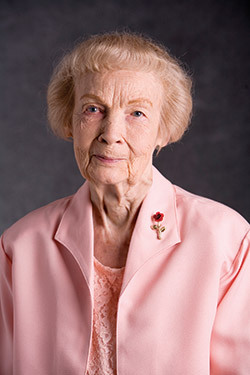 Siegfried Horn, professor of history of antiquity at the seminary, nominated her to the Chicago Society of Biblical Research, and she served as the first female president from 1981–82. Among her many interests, Running traveled extensively. In 1951, she traveled with Del Delker to the Paris Youth Congress and to seven European countries. Later she published 36 Days and a Dream, recounting her trip. In 1957, she joined Siegfried Horn’s first guided study tour to Europe and the Middle East. She wrote another travelogue of this trip, published in 1958 as From Thames to Tigris. In 1965 she traveled through Europe and studied six weeks in Israel, ending with a trip through Western Turkey and a cruise of the Aegean isles. In 1970, she again traveled through Europe to spend eight days in Iran, a weekend on Cyprus, and 10 days in Israel. In 1974, she taught in a summer session at Newbold College, England, then spent three weeks in both France and Germany. She retired from teaching at her 65th birthday, but for 21 years she continued to teach Egyptian, Akkadian and Syriac in the seminary, finally quitting in May 2002. At the May 2012 commencement ceremony, Leona was awarded an honorary Doctor of Humane Letters from Andrews University. Leona Running was predeceased by her husband, Leif Running; her parents, Charles and Leona Glidden; her sister, Beth Habenicht; and her niece, Linda Joy Habenicht. Besides countless former students and friends around the world, she leaves to mourn her nieces, Merry Habenicht Knoll and husband Thomas Russell Knoll Sr. of Walla Walla, Wash., and Cheeri Lee Roberts of Queensbury, N.Y., along with numerous grandnieces and grandnephews. Viewing will take place at Allred Funeral Home, 212 W Main Street, Berrien Springs, on Wednesday, Jan. 29, from 6–8 p.m. The funeral is at Pioneer Memorial Church on Thursday, Jan. 30, at 2 p.m.